Wholly Crab, Fried Hokkien Mee, BBQ Chicken Wing, Satay and the list goes on and on. These are just a few of the dishes offered by Satay By The Bay. 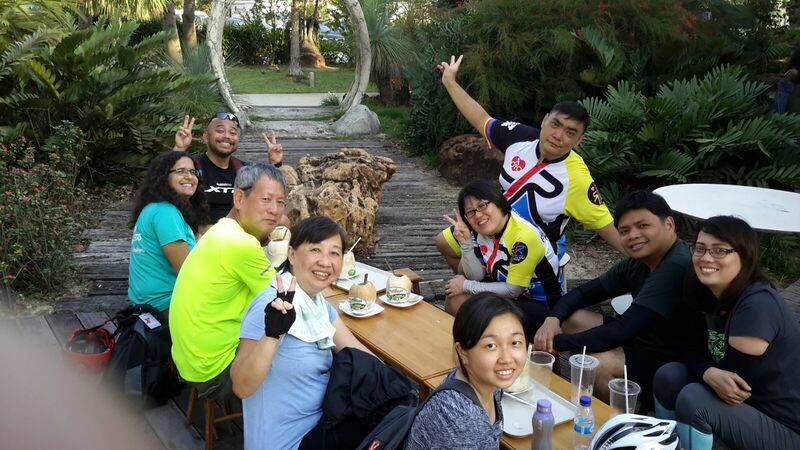 If you love food as much as you love cycling, you definitely have to join us for this ride on 30th July, Saturday to Marina Gardens Drive where we will be having a meal at Satay By The Bay! So grab your cycling buddies, family and friends to register for this event now! Step 2) Ready your personal bike and protective gear, before the event day. If you do not have your own bicycle, you may borrow one from Shimano Cycling World. Please inform us by indicating it in the registration form if you wish to borrow one. However, the quantity of bicycles are limited and it will be on first come first serve basis. Step 3) Assemble @ Shimano Cycling World, 3:30pm on the event day and we’re set! Remember to have a good rest before the event day, and see you at Shimano Cycling World! Established in 1921 and incorporated in 1940 in Japan (Sakai City, Osaka), Shimano Inc. designs, conducts R&D, manufactures and sells high quality bicycle components, rowing and fishing equipment. In 1973, Shimano established its first factory outside of Japan in Singapore. By leveraging on the quality workforce here, Shimano has since grown into a full-fledged manufacturing plant with R&D, product design and engineering, cold forging, stamping, heat treatment, electroplating and tooling fabrication capabilities. Shimano Singapore set up its sales office in 1996. It is the regional headquarters for sales and marketing of all products in South-East Asia. As of 31 December 2014, total number of employees (offices and factories) is 13,342. Mr Yozo Shimano, President of Shimano Inc., was appointed Singapore’s Honorary Consul-General in Osaka on November 2011.